Straddled between the pacific ocean and the cascade mountain range, Portland is home to 600K very lucky residents. Only an hour from the ski slopes, beaches and wineries, there's no shortage of entertainment with a picturesqe backdrop. Portland continues to receive international praise as a leader in energy efficiency, food + beer mastery, and music hub. Portland recently made it's biggest debut in Hollywood, starring in it's own show; Portlandia. Recently named as the the #1 city people are moving to, Portland's real estate market has reacted. The charm, character and intimacy Portland offers is reflected in our rapid expansion. Continuous rehabilitation and development attracts investors, strengthens home values, and ignites quick home sales. North Portland is an extremely diverse mix of classic bungalows, craftsman's, modest ranches, and new infill development. North Portland is a peninusula defined by the Willamette river to the south and West, the Columbia river to the North, and I-5 to the West. Industrial areas skirt the edges to the North and South. Many clients I work with love North Portland not just for the proximity to downtown, but the community and amenities within each neighborhood. While living on the edges of Portland, Kenton and St. John's are small towns within themselves. It's hard to find a home that's not a short walk to a coffee shop, good eats, and the grocery store. 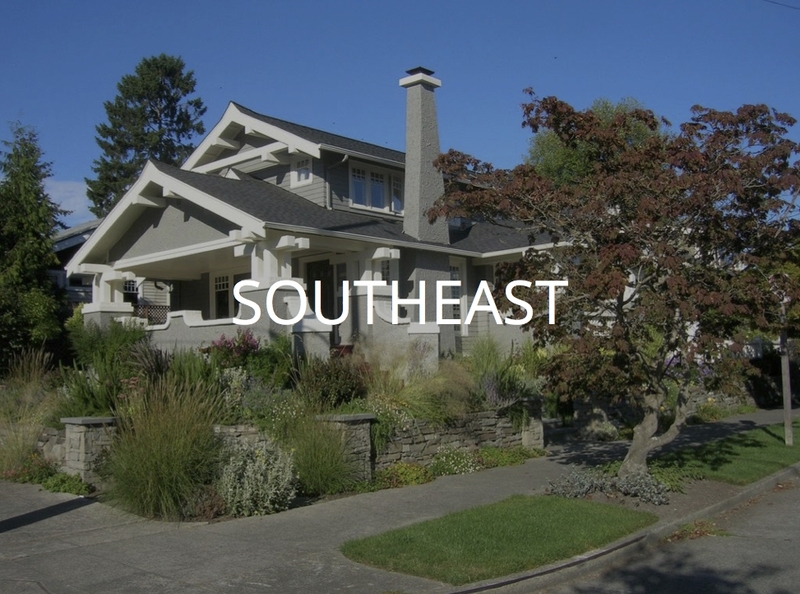 Northeast Portland is home to some of Portland's most prestigious and classic neighborhoods. Some of the most expensive homes in Portland are big broad shouldered craftsman's in Irvington or extraordinary tudor's along Alameda Ridge. 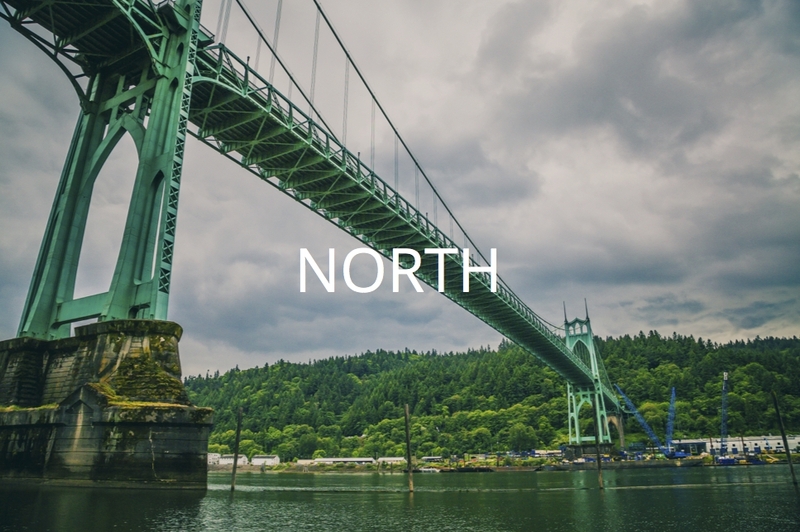 Northeast Portland is filled with vibrant neighborhoods, great eats, and easy access to the rest of Portland. Northeast Portland easily connects to Portland's central business district. Portland's MAX light-rail runs borders northeast on the south and west edges to easily connect to downtown. Portland's Streetcar line also runs through close-in Northeast to connect to the Pearl District or Southeast Portland. Directly across the river from Downtown, Southeast Portland is home to classic old Portland homes, tight knit communities, coffee shops bursting at the seams, and vintage shopping. Belmont, Hawthorne, and Division street embody people's vision of Portland when they've only seen Portlandia. High density neighborhoods with lots of local shopping, eating, and drinking. Close-in Southeast is an industrial district that is slowly developing into creative offices and retail. Old industrial buildings are being redeveloped towards better uses as Portland is becoming more lenient on how this industrial district can change. Both the Portland MAX light-rail and Streetcar run through close-in Southeast. This section of Portland is incredibly bike and walk friendly and an easy commute into downtown. Southwest Portland spans from downtown, over the west hills, and into the suburbs bordered by Beaverton, Tigard, and Lake Oswego. Southwest Portland is known for great schools, large lots and privacy, parks, and easy access to downtown. Some of Portland's largest employers including Nike and Intel are on the westside and are an easy commute from Southwest. Southwest Portland home styles range from clean-lined modern boxes overlooking the city in the west hills, to cute bungalows in Multnomah Village, and post and beam mid-century modern homes scattered in-between. Southwest Portland is very family oriented with quiet streets, lots of parks, and some of the best schools in the City. While Portland's TriMet bus services Southwest, the majority of this area is not accessible by the MAX light-rail. The MAX runs along the west edge of Southwest Portland. Northwest Portland embodies everything people love about this city. Step into the woods with more than 70 miles of trails in Forest Park. Forget about your car and live in minutes from downtown among boutiques and amazing eats along NW 23rd Avenue. Closer to the river is the Pearl District, one of Portland's most desirable neighborhoods located in the heart of downtown and masterly designed with an incredible mix of new condo developments among redeveloped industrial buildings turned into creative offices, restaurants, and art galleries. Prestigious west hills homes sit just above downtown, and newer, family oriented high end developments like Forest Heights and Bonny Slope are nestled on the other side of the hills. Northwest is home to incredible schools and feeds into Lincoln High School which has one of the most rigorous curriculum offered with the International Baccalaureate program. Close-in Northwest is minutes from downtown. The Portland Streetcar runs through the Pearl District and up to NW 23rd to connect Northwest to downtown and the close-in eastside.